GOC-in-C Eastern Command, Lieutenant General Manoj Mukund Naravane called on Sikkim Chief Minister Pawan Chamling at his official residence at Mintogang on Tuesday. This was the first meeting of the GOC with the Chief Minister since he took over as the General Officer Commanding-in-Chief of the Eastern Command on the 1stof October 2018. After exchanging pleasantries, Chief Minister Pawan Chamling thanked the GOC for his visit to Sikkim. He said that the State Government has had a very cordial relation with the army and there was no civil-military tussle of any kind. The GOC also expressed gratitude to the Chief Minister for providing support to the Army at all times. He lauded the environmental initiatives of the State and the emphasis laid on sanitation. He said that the Army would lend every possible support to facilitate free movement of tourists and visitors within permissible limits. The GOC extended his invitation to the Chief Minister to visit the Eastern Command Headquarters in Kolkata. The GOC was accompanied by senior officers of the Eastern Command. 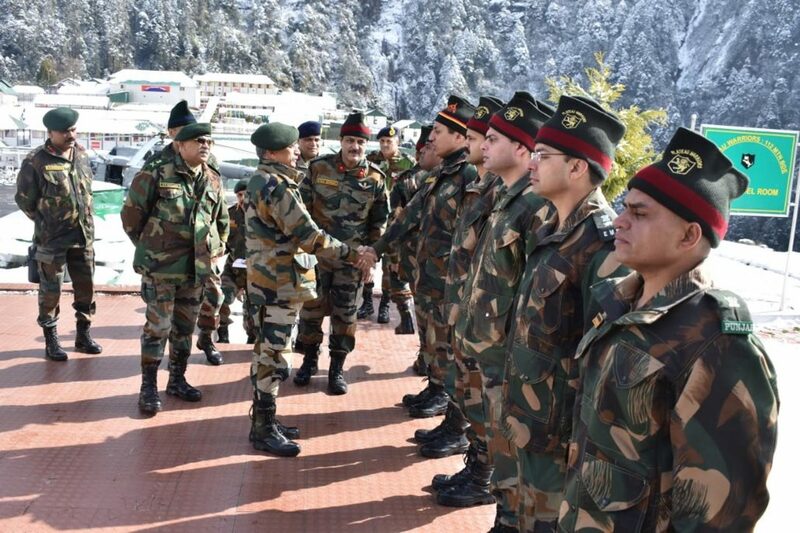 Lt Gen MM Naravane also visited forward areas, where he was briefed on security situation along the border and also interacted with the troops. The Army Commander complimented the soldiers for their professionalism, dedication and commitment for maintaining round the clock vigil in inhospitable terrain and adverse climatic condition.